Wealthy parents are accused of paying bribes as part of a scheme to guarantee admissions for their children at elite schools. In some ways, the college-admissions bribery scheme newly revealed by federal prosecutors seemed almost inevitable. Ethics experts say Americans these days are barraged with accounts of corruption, greed and amoral behavior to the point that many likely wonder, "Why should I play by the rules?" Whether it's gaming the system to secure entry to an elite college, or circumventing laws and ethical norms to evade taxes, swindle customers or pocket illicit gains, unethical behavior has always been among America's national pastimes. Yet a strong case can be made that this moment is distinctive, with its constant stream of high-profile scandals entangling bankers, drug companies, sports organizations, government officials and others. "There's a rawer pursuit of opportunities and benefits than there once was," said Cal Jillson, a political science professor at Southern Methodist University. "It was always there, but now it's broader, and there are elements of society that once responded to social and professional restraints that no longer do so." The admissions scandal, as outlined this week by federal authorities, is the biggest such scam ever prosecuted by the Justice Department. 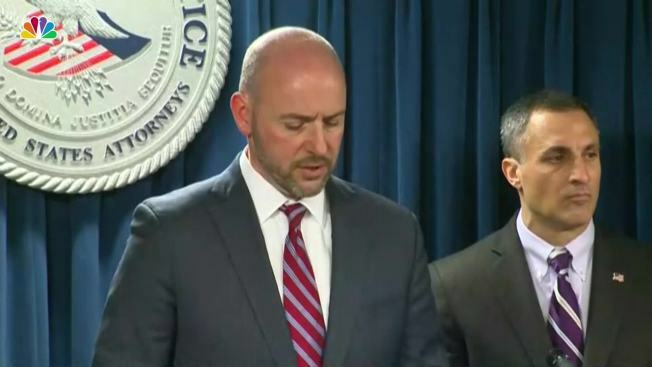 Fifty people were charged in a scheme in which wealthy parents allegedly paid an estimated $25 million in bribes to college coaches and other insiders to get their children into elite schools. Olivia Jade and Lori Loughlin lost a brand deal amid dealing with an alleged college admissions scandal. "I don't think anyone is shocked that children of the wealthy have an easier time getting into top schools," said Nick Smith, a philosophy professor at the University of New Hampshire. "The deck is stacked in their favor, even if they can't quite directly buy their way in." "What is new here is that all of those considerable advantages apparently aren't enough for some and they will go to any length to directly buy their way in," Smith said. "It's like the veneer of fairness is cracking all around us, and corruption is increasingly on the surface of our most esteemed institutions." Some rule-breakers get caught, of course. Martin Shkreli, who provoked outrage with a 5,000 percent hike in the price of a vital drug, is serving a seven-year sentence in federal prison for securities fraud. Paul Manafort, Donald Trump's former campaign chairman, faces prison time for concealing his foreign lobbying work, laundering millions of dollars, and coaching witnesses to lie on his behalf. However, public cynicism about America's moral standards is high, as evidenced in the annual Values and Morals poll conducted by Gallup since 2002. In the latest poll, released last June, a record high 49 percent of respondents rated moral values in the U.S. as poor, and only 14 percent rated them excellent or good. The perception that unethical behavior is increasingly commonplace could have a snowball effect, says Andrew Cullison, a philosophy professor who heads DePauw University's Prindle Institute for Ethics. "People think that if moral standards have eroded, why should they play by the rules," he said. "If they've lost trust in some entity or institution, then that organization has lost the right to their compliance with the rules." Lori Loughlin's daughter Olivia Jade used to write on social media a lot about school. And some of her old tweets from high school are now resurfacing amid her parents' alleged involvement in a college admissions scandal. Cullison said President Trump and his administration may be contributing to those perceptions with their departure from some longstanding ethical norms. Trump, for example, has refused to release his tax returns, as other recent presidents did, and has neither divested his business holdings or placed them in a blind trust. "It's the objective truth that norms of conduct are being violated," Cullison said. "Where people differ is how outraged they are. If you're getting what you want (in terms of policy), you'll be more willing to look the other way." "We're seeing a pattern of not caring about ethics that we've not seen before," Libowitz said. "It sets a dangerous precedent for future administrations, that once ethical norms are pushed aside and nothing is done about it, this might become the new normal." Libowitz said Congress could take new steps to tighten ethical standards for the executive branch, updating and strengthening some of the reforms enacted in the post-Watergate era of the late 1970s. Congress has its own image problems. A Gallup poll in December asked respondents in the U.S. to rank 20 different occupations in terms of their ethical standards: members of Congress ranked the lowest, below car salespeople and telemarketers. Nurses were at the top. Seth takes a closer look at the college admissions scandal that has implicated celebrities and others for bribing their children's way into top colleges around the country. College administrators, teachers and coaches weren't part of the Gallup poll. But Robert M. Franklin, a professor of moral leadership at Emory University in Atlanta, said the admissions scandal should be a catalyst for substantive reforms throughout higher education, including auditing of admissions procedures by outside accreditation agencies. "This is revealed as hardworking, bright students of color, women and immigrants are benefiting from smart affirmative action policies that correct past injustice and exclusion," Franklin said in an email. "Now, we must all question whether the scions of affluent white parents gamed the system to ensure admission for their average offspring."